Duty before desire…honor before truth. Lady Abigail Lyon wants an education, not a husband. With her family’s social standing jeopardized by her sister’s scandalous elopement, Abbie no longer has the luxury of pursuing her aspirations ahead of the wellbeing of her parents and siblings. A respectable match would redeem her family’s besmirched reputation, although surely none of the ton’s eligible bachelors count curiosity as a desirable trait in a wife. Abbie finds herself confronting an offer that may be too good to be true. Jack Bonnington is a rake turned spy, recruited by the Crown to ferret out a traitor. To provide a cover for his mission, he must pursue the very brilliant and beautiful Lady Abigail. The ruse takes a dangerous turn when they discover their secret is at risk of being exposed. Is the heightened passion a pretense or a prelude to something more dangerous? Can a man bound by honor to his country and a woman ensnared by duty to her family accomplish an impossible mission that gives them the freedom to love and live as they choose? 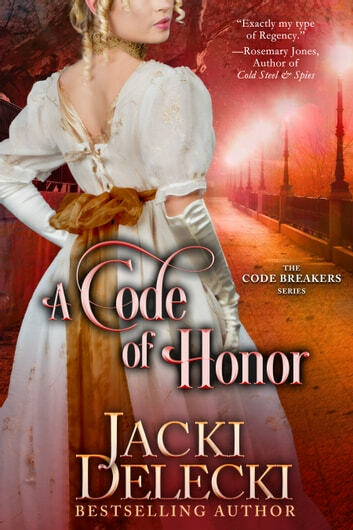 Enjoy the passionate, suspenseful Regency world of the Code Breakers, where daring lords and ladies decode the path to happily ever amidst their dangerous, heroic fight against Napoleon's treacherous designs. It's So Hard To Be Proper All the Time! I've read the first 3 books in the Code Breakers series and somehow missed numbers 4/5! Loved the story of Abbie and Jack! She's trying to hard to be proper and appear ladylike as her mother and father had browbeat her into acting. Jack was lovable from the first scene when he was interacting with his brothers and his defense of his sister against even her own husband! Abbie was able to recognize that Jack would treat her as his equal in a relationship even after their rocky beginning. Since I missed the 4th and 5th book, I was a little confused at the beginning with the use of Amelia and Abbie for names, but eventually lost the confusion. Thank you for the advanced readers copy. I'll have to go back and get books 4 and 5 now! Another great installment in the Code Breakers series!! 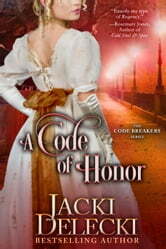 This one is about Jack who is recruited to oversee an arsenal and Abigail, a bluestocking in the sense of her great talents in language and mathematics, who is hired as a code breaker. They had known each other before, but are now put together to work on uncovering a plot and keeping England safe. The adventure begins with a lot of back and forth between the two on differing opinions and finally coming to have feelings for each other. Abbie feels a responsibility to marry well to help put her family back in the good graces of society after her sister's scandalous elopement. But as emotions heat up and Abbie gets into danger, Jack has to save her. Will he find her in time and be able to expose a traitor in their mists? A page turning adventure that will have you holding your breath to see what happens! !